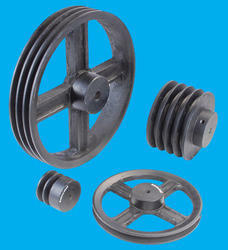 Pioneers in the industry, we offer timing pulleys, v belt pulley and v groove pulleys from India. We hold expertise in offering the wide gamut of Timing Pulleys in the industry. Made from steel or aluminum, these timing pulleys have long working life, accurate size, lightweight and high strength, these manufactured in various inch as well as metric timing belt pitches. 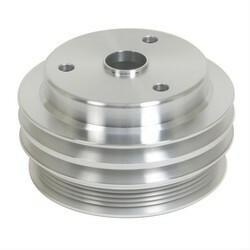 Further, we also provide customization facility of these pulleys as per the needs of our clients. 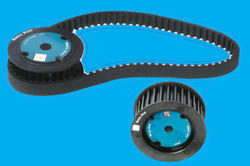 We have trusted names in the market for offering a wide range of V Belt Pulley. These products are made up of excellent quality cast iron or steel. These products act as an essential part and are used for reducing the time and increasing efficiency. The products offered by us are cost effective and highly durable and can be customized as per the needs of our customers. Our organization is well known in the market for providing a broad assortment of V Groove Pulleys to our clients. This is made using fine quality cast iron. Besides, these products can accommodate a wide range of tolerance and easy to mount with the help of Allen wrench. The products that we are offering can be availed from us in varied sizes. Looking for Industrial Pulley ?